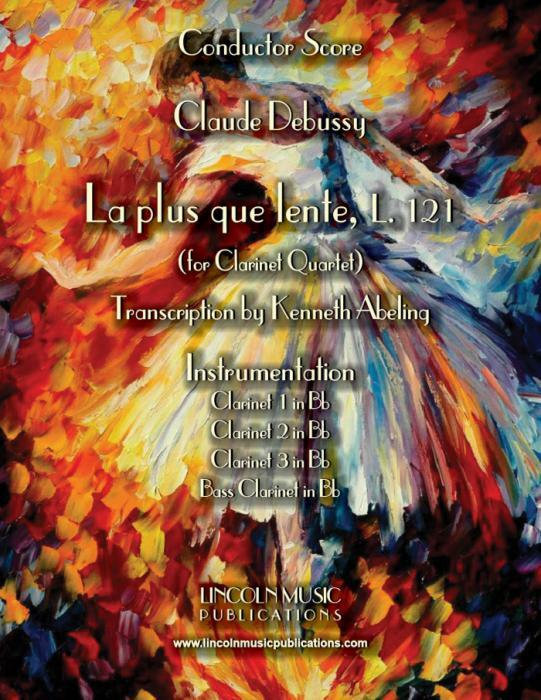 Claude Debussy’s lovely La plus que lente for Clarinet Quartet. This is an advanced intermediate to advanced transcription. Technically none of the individual parts are extremely demanding, but it does require a somewhat mature ensemble to play musically.